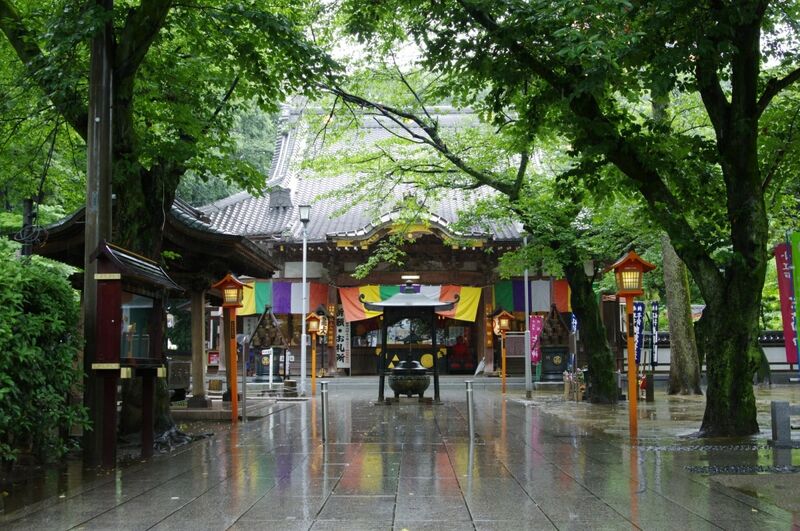 Japan is full of wonders to be discovered in any season, but from late May to early June, even the most passionate Japanophiles might wince at the thought of tsuyu (梅雨), Japan's rainy season. It can be tough if you don't know what to expect, but it's actually quite nice if you know how to make the most of it! Have you ever had that awesome feeling of being cozy inside your house during a downpour? If you're the type to curl up indoors with a cup of tea, transfixed by the acoustic sound of rain pattering on rooftops as the drops streak down windows, well you're in luck! In Japan you can experience a similarly sublime, relaxing soundscape in many gardens, shrines and temples. Instead of seeing the rain as a nuisance, embrace it—stop and smell the hydrangeas! Something else that goes hand in hand with all the rain and wetness is beautiful hydrangeas, which are typically in full-bloom during rainy season. The deep, vibrant colors stand in stark contrast to the somberness of the weather. It's impossible not to be captivated by their beauty while taking shelter from the rain. You might have seen or heard of these little guys before. They're called teru-teru bozu (てるてる坊主), and basically they're little ghost-like paper dolls that serve as charms to make the rainy days go away and the sun come out. Children usually hang them the day before an excursion or picnic in order to have good weather, so if there's an outing you're really looking forward to, it might help to make one of your own! But if you do, be careful! Hanging them upside down actually might have the opposite effect, since its used to wish for rain. So unless you’re a farmer wishing for rain for your crops—or you've made plans to relax outside a temple—make sure that you hang it upright! If this little fella helps you out and drives away the rain, don’t forget to thank him! Pour some sake (not the cheap stuff!) on him and wash him away in a river to complete the tradition. Japan's relationship with umbrellas can be quite surprising to the uninitiated, but there's a rich history and crafting tradition behind them. Some traditional styles of umbrellas are used to this day, and make quite the fashion statement. These traditional umbrellas are called wagasa (和傘), which literally means "Japanese umbrella." They're made out of Japanese paper, washi, and are lacquered in oil to withstand water. While it's traditionally used for weddings and important functions these days, it still makes for a great accessory that will also help you stay dry. Also good to know in Japan is how stores are well-prepared for those without umbrellas. Whether you were caught unawares or forgot it at home, in nearly every convenience store there's a selection of affordable umbrellas and raincoats. There are pocket-sized umbrellas perfect for carrying on the go, and also the larger, clear plastic umbrellas that are ubiquitous with the season. Most places have different ways to store them, whether it's a rack in front of a store, a small plastic bag you place over your umbrellas so that it doesn't drip indoors or a stand where you can lock your umbrella safely away. Just don't forget to pick it up on your way out! If you don't actually mind getting wet during rainy season, we've got the perfect way to while away the weather! A nice soak in an onsen hot spring is a must-try experience, but can be especially comforting when it's rainy. At traditional Japanese bath houses visitors get the opportunity to de-stress and soothe their aching muscles. Some larger facilities are almost like amusement parks! For example, at Ooedo-Onsen Monogatari you can amuse yourself all day with their various baths, rock salt saunas and spa treatments. When you've soaked to your heart's content you can sample one of their many dining options. Or, maybe just take a relaxing nap in a massage chair! Most facilities have different type of baths, with unique mineral qualities said to promote different aspects of health and well-being. But rotenburo open-air baths are especially a treat when it's raining. While most will be covered by a small roof, there's something magical about soaking in a warm bath while the rain falls nearby. It's a very common question when considering when to travel—is it worth it to visit Japan during rainy season? The short answer is: yes! While it can be a deal breaker for some, all that's needed to enjoy the rainy season is a little bit of insight and a positive attitude. Like most of Japan, it can surprise you in many ways. You won't have to deal with the crowds that come with peak travel seasons, and you'll still be able to experience the things that make Japan such a romantic travel destination for so many. 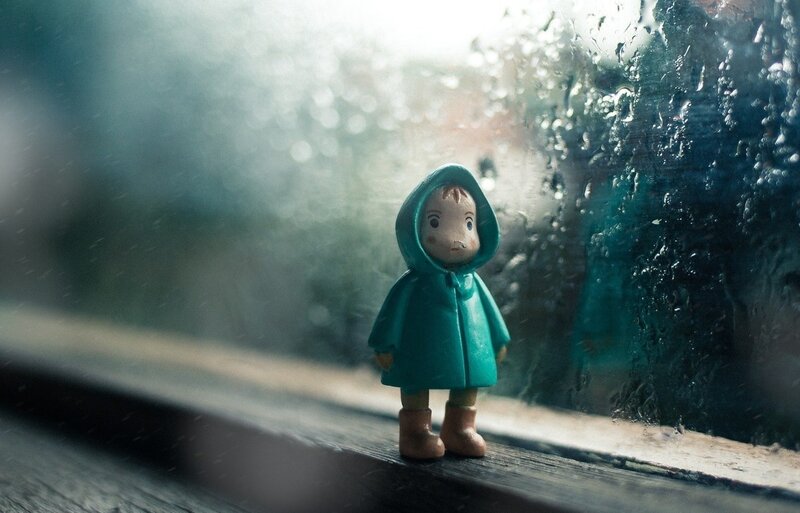 So next time you book a trip to Japan, remember these tips for dealing with dreary weather!